Just today, the Electra Team has announced another partnership that will help ECA blossom into a formidable altcoin. Mass adoption is underway and in full swing, demonstrating the perseverance and potential of Electra during the sluggish market of 2018. Electra has partnered with Investa to incorporate ECA upon their ambitious, comprehensive crypto-trading platform. Investa is a recently-launched project offering a multitude of crypto investment products. The primary focus of Investa is to provide its customers with a smooth transition from common financial systems to the exciting world of cryptocurrency and blockchain technology — Investa delivers a contemporary approach to the mass adoption dilemma. The Investa platform features an entire suite of cryptocurrency tools which enable users to interact with the world, using crypto as if it were fiat! 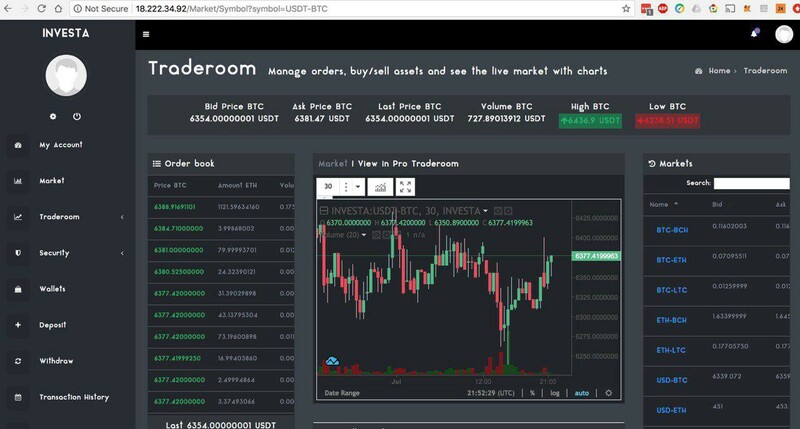 Investa’s dashboard is an impressive, sleek design, resembling a fusion between modern banking apps and the latest cryptocurrency software. Investa’s platform incorporates a practical mobile app — a seamless interface allowing users to use their money with complete freedom. The mobile app provides a fiat currency wallet which enables the user to send, receive, and convert USD, EUR, and other currencies between any two users throughout the world. The app also offers a cryptocurrency wallet which supports many coins and tokens including but not limited to Bitcoin (BTC), Ethereum (ETH), Litecoin (LTC), Ripple (XRP), Investa coin (INV), and of course, Electra (ECA). Investa offers a similar product to TenX (PAY) and Monaco (MCO) with the additional benefit of access to an expansive ATM network throughout Europe and Latin America. Additionally, the Investa platform hosts an exchange, allowing users to convert any cryptocurrency with lower than average rates instantly. These fintech crypto projects have attracted considerable attention from investors, demonstrating the demand of these services. Investa’s proprietary network of ATMs enables users to withdraw fiat from crypto — a massive step towards mass adoption. The ATM network coupled with prepaid Investa debit cards grants access to an entire financial ecosystem. How does Electra fit into the equation? Electra recently announced several partnerships, kicking off the #ecamassadoption campaign. The collaboration with Investa signals the next stage of global awareness — ECA will be available on the Investa platform, extending Electra’s worldwide reach and presenting many new opportunities. With Investa on our side and more partners to come, Electra’s future looks promising. While Investa aspires to bridge the gap between our conventional financial world and the cryptocurrency revolution, Electra aims to reach every individual desiring a better financial future. The alliance with Investa unlocks more possibilities for Electra and gives the ECA community a key to the financial world — use it wisely.